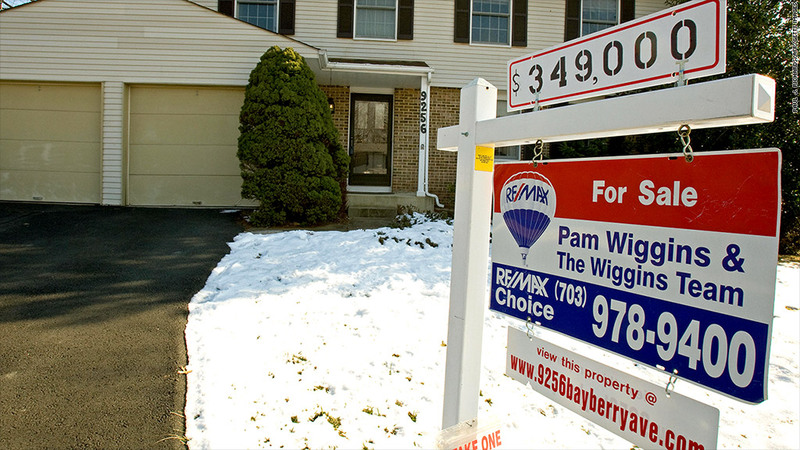 Home prices cooled off in February, according to the S&P/Case-Shiller home price index. Prices were relatively unchanged compared to January. Compared to a year ago, prices rose 12.9%. That's down from an annual gain of 13.2% in January. Of the 20 major cities covered by Case-Shiller, San Diego recorded the highest month-over-month gain, up 1%. Home prices were also up in Portland, Ore., Seattle, San Francisco, Los Angeles and Washington. The biggest loser was Cleveland, where prices dropped 1.6%. Las Vegas had the biggest 12-month increase. Prices there were up 23.1% in February compared with a year earlier. San Francisco and San Diego also rang up big gains. But overall, the housing market isn't doing as much as it has been to drive the economic recovery. "Five years into the recovery from the recession, the economy will need to look to gains in consumer spending and business investment more than housing," said David Blitzer, spokesman for S&P. "Long overdue activity in residential construction would be welcome, but is certainly not assured." Prices are just one of the real estate market indicators that have been flagging lately, he adds. "Sales of both new and existing homes are flat to down," said Blitzer. "The recovery in housing starts is faltering. Home prices nationally have not made it back to 2005 [levels]. Mortgage interest rates, which jumped last May, are blamed by some analysts for the weakness. Others cite difficulties in qualifying for loans and concerns about consumer confidence. The result is less demand and fewer homes being built."